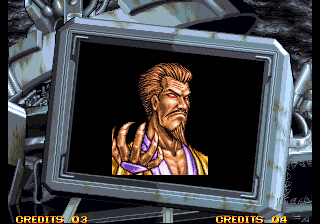 The final boss of Double Dragon, Shuko is the evil dictator of Bloody Town. Shuko is behind most of the nefarious organizations and businesses in Bloody Town. He is a powerful master of the magical fighting styles, Kobujutsu and Ninpoh. 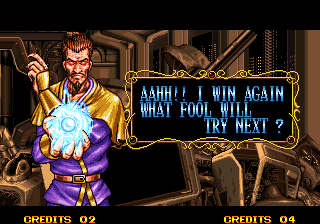 Shuko was also the main antagonist in the Double Dragon movie. Duke is his bodyguard and right-hand man. He's not a terrible boss design for Double Dragon, considering it was the mid 90's. He looks a little bit like Dr. Strange, but also kinda bland as a design. He also resembles Shang Tsung a little bit though (shares the first 2 letters of his name, too).